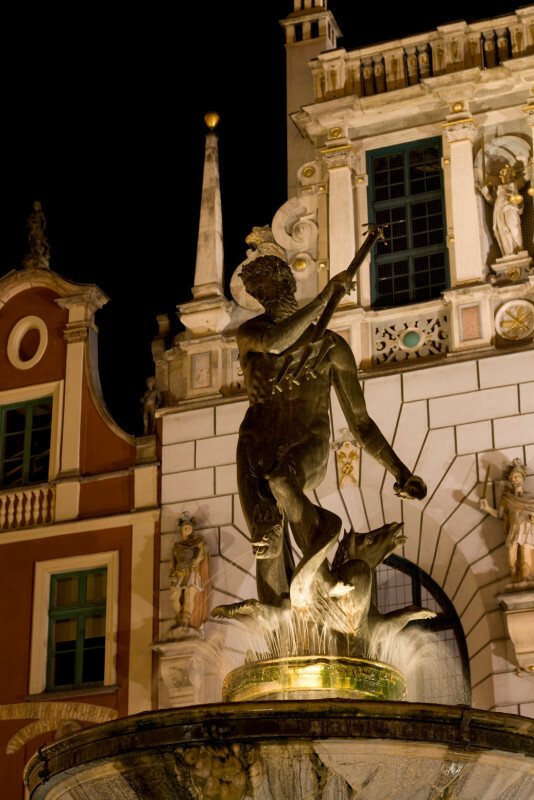 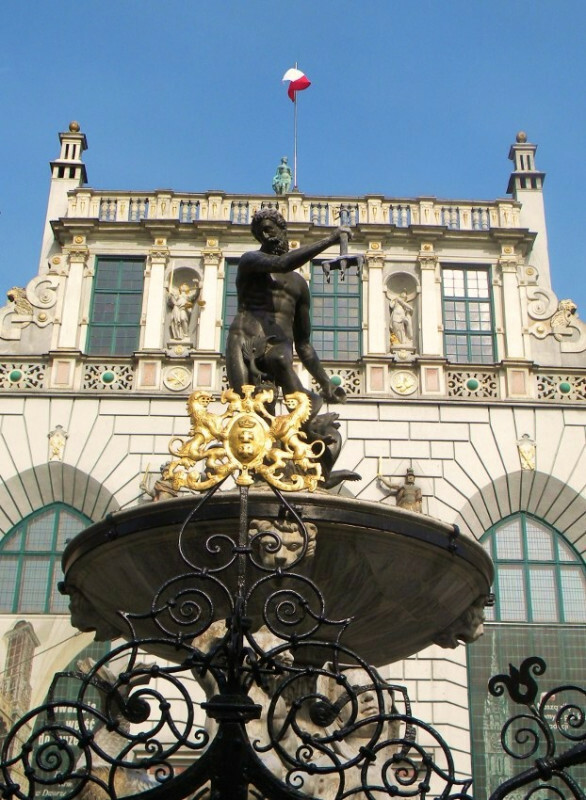 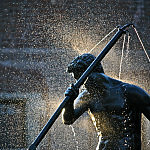 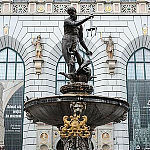 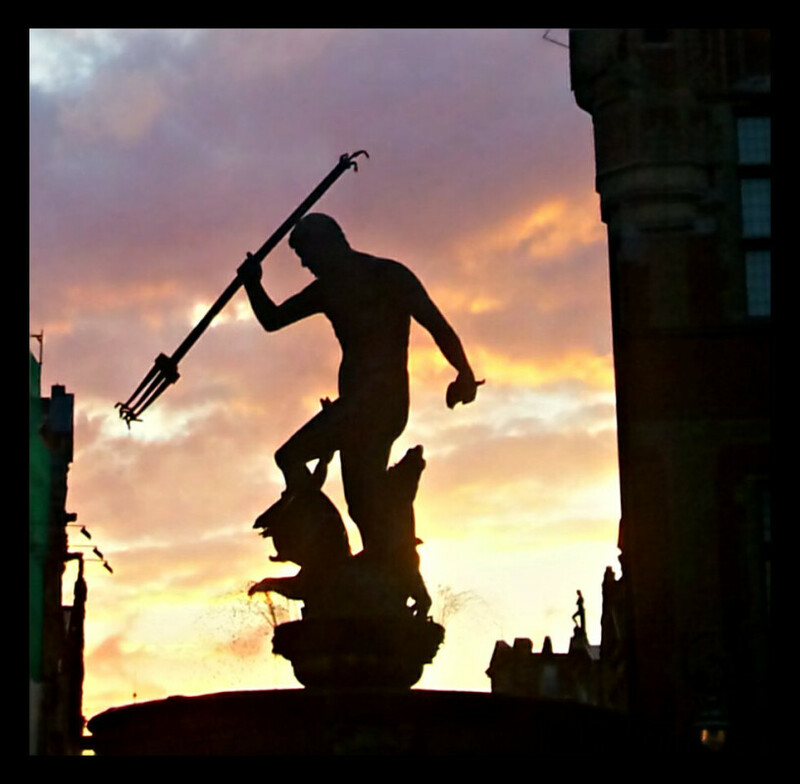 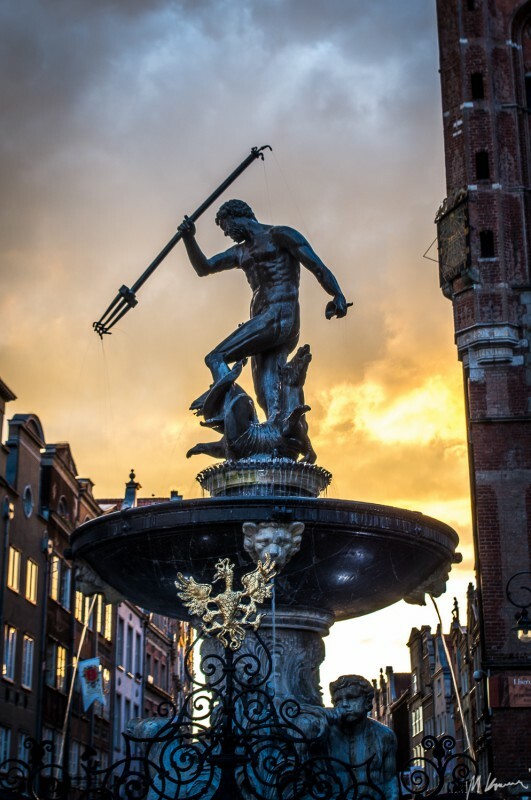 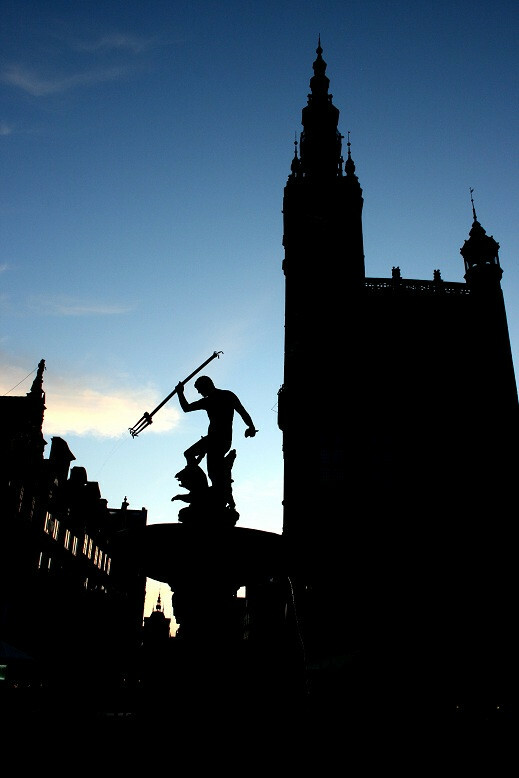 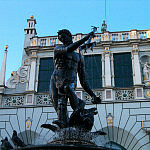 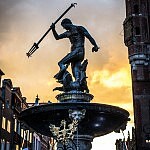 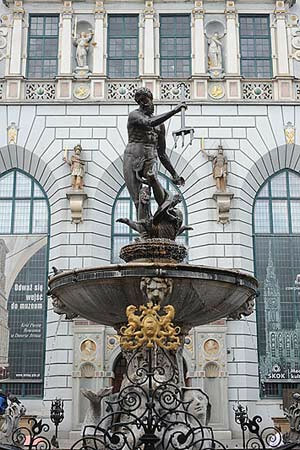 Neptune Fountain was designed by Abraham van den Blocke.The basic idea behind the water sources is the trident of the god of the seas and oceans, with a sea horse at his foot as well as the corner of the pedestal. 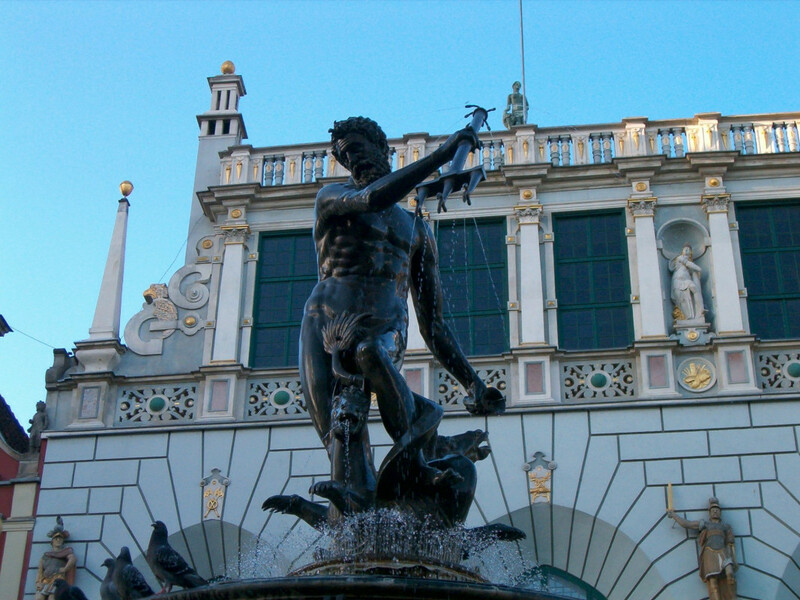 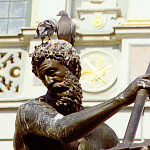 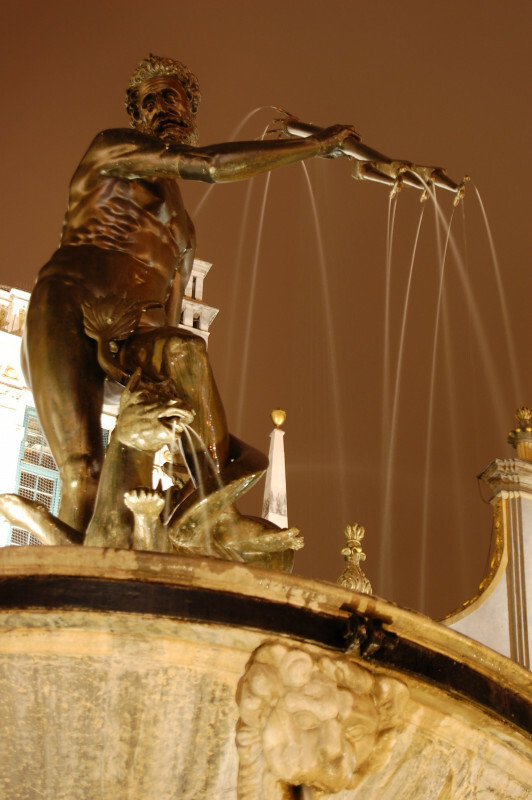 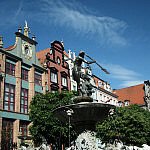 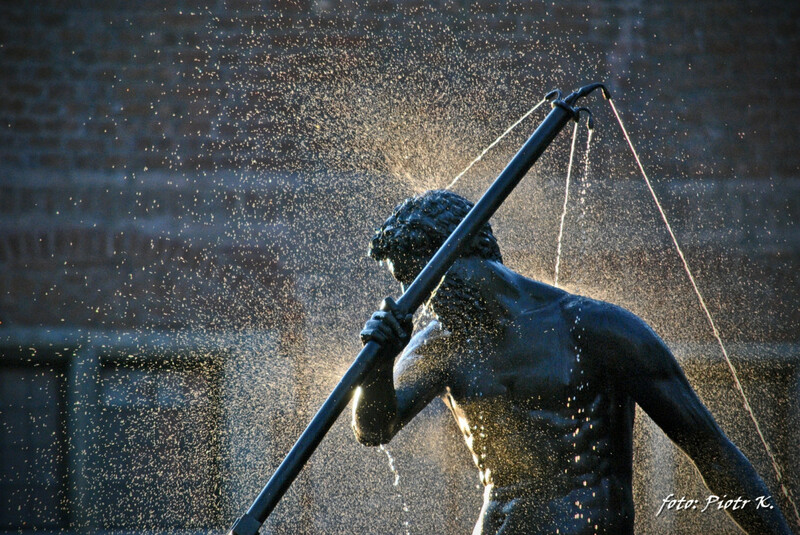 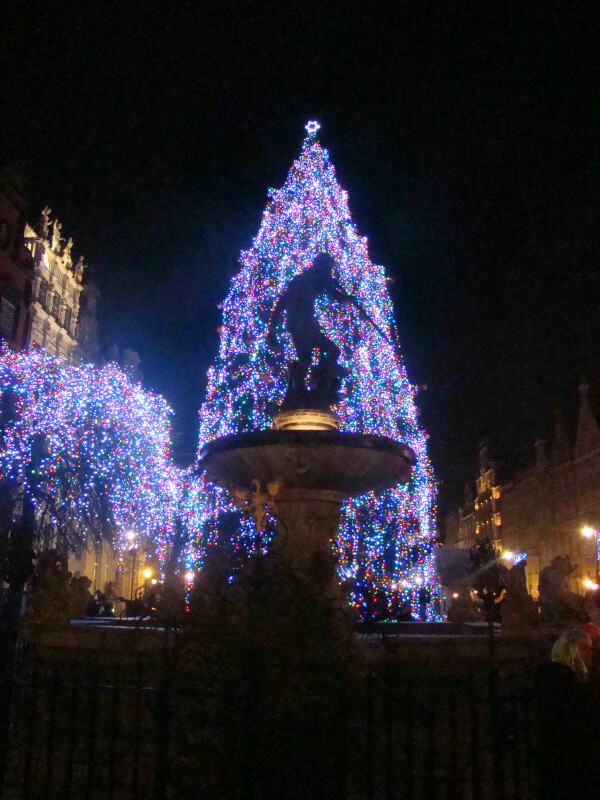 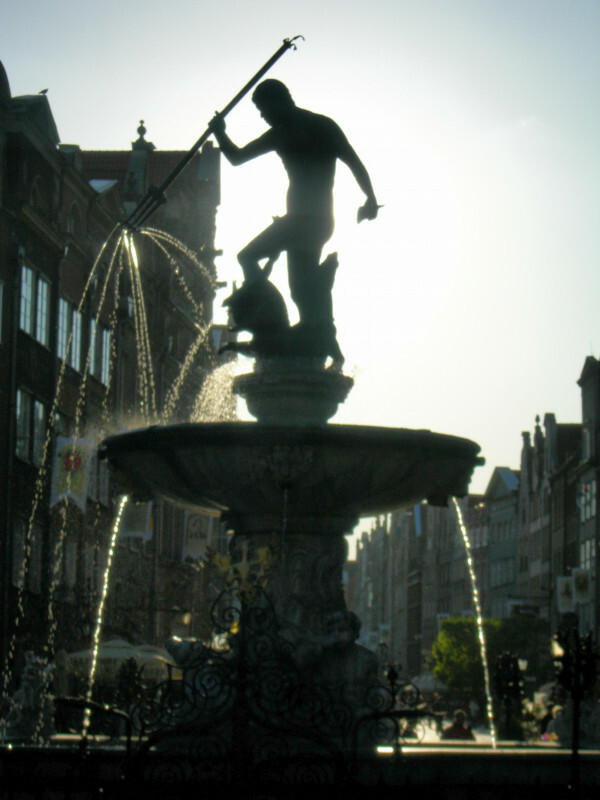 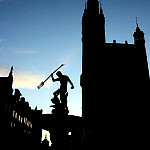 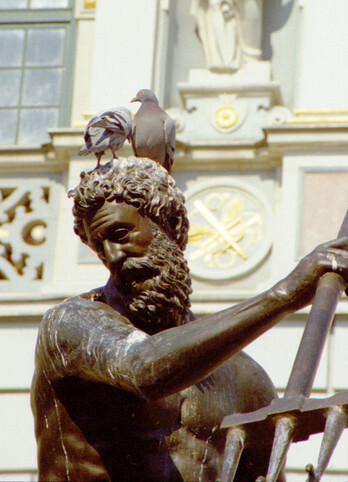 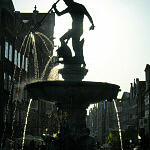 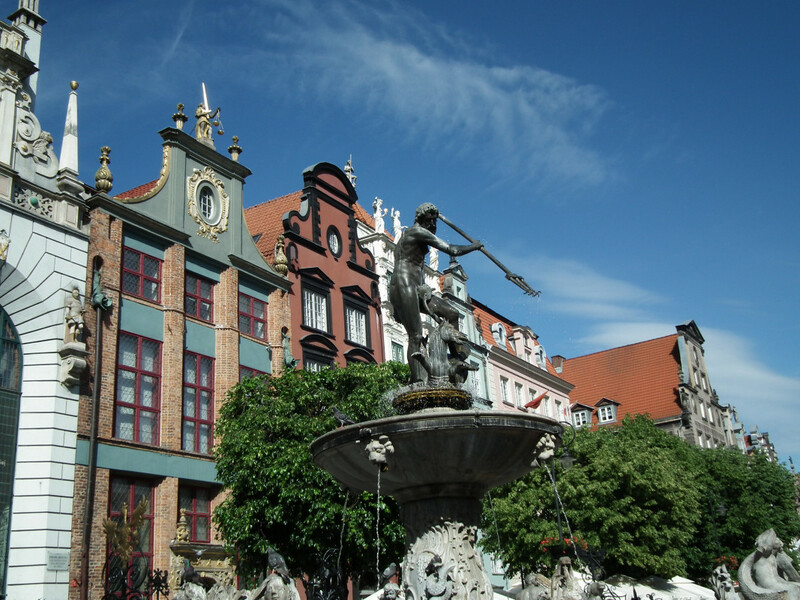 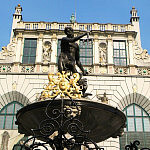 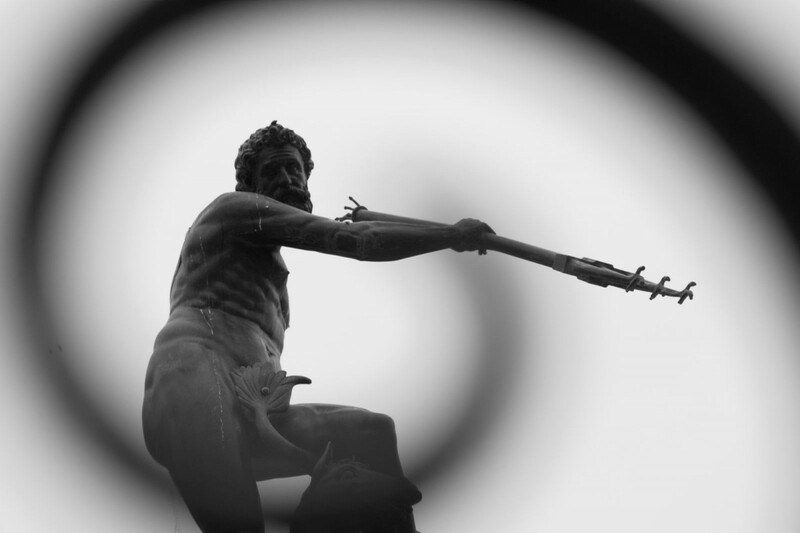 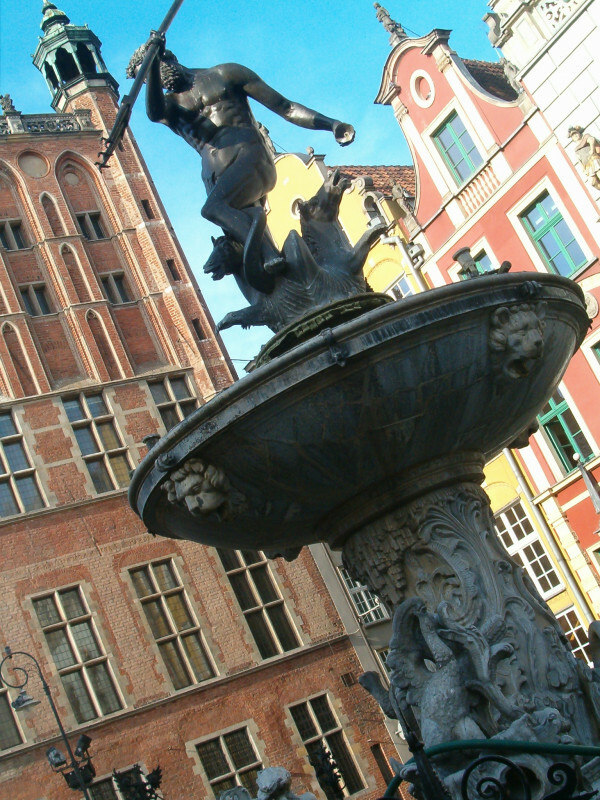 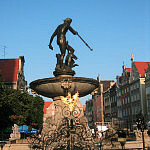 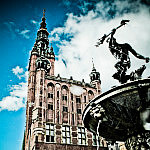 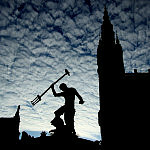 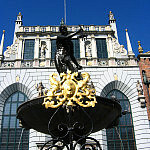 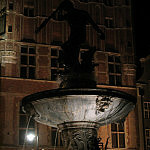 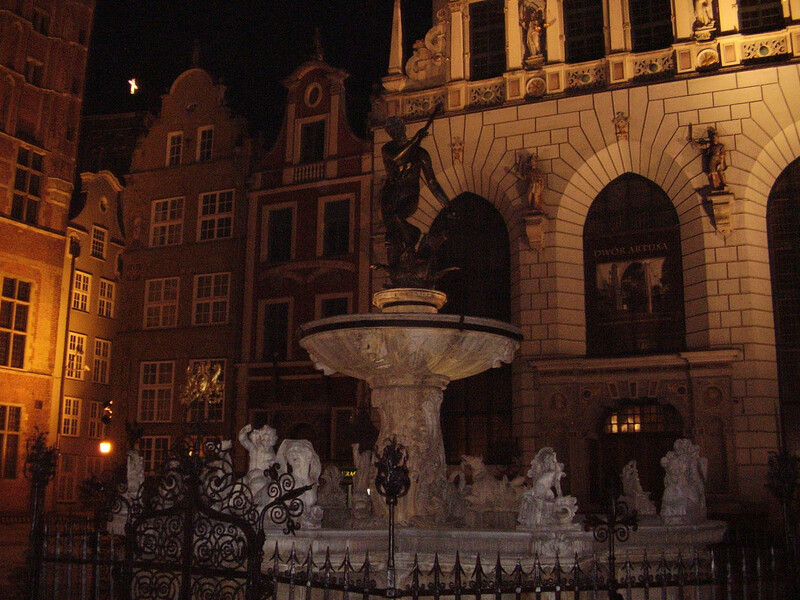 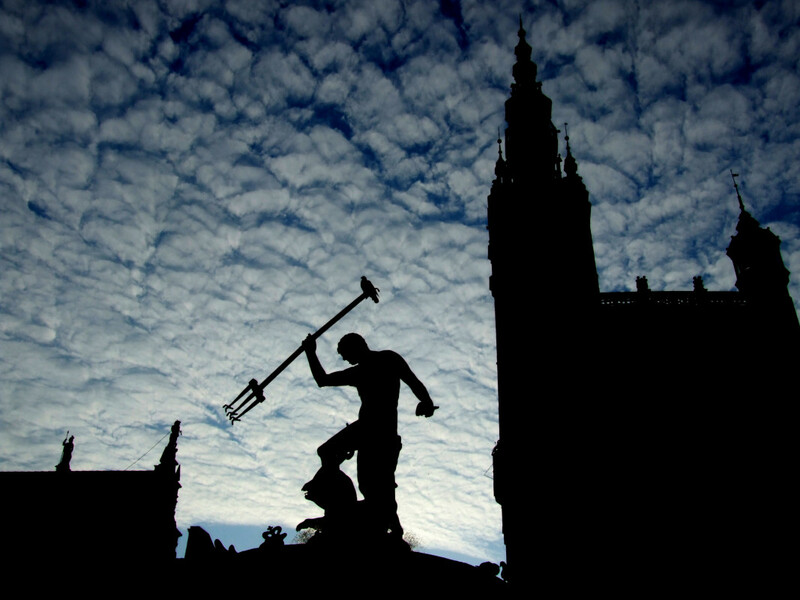 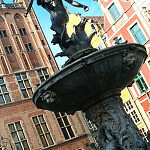 Neptune Fountain was designed by Abraham van den Blocke. 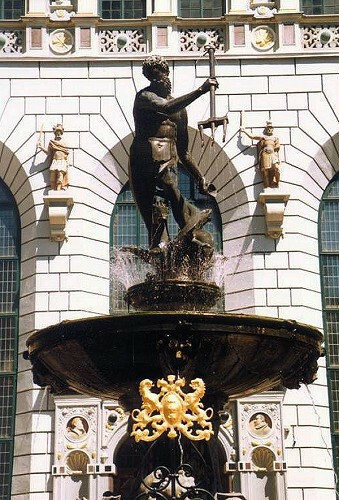 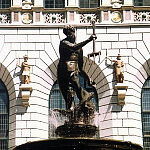 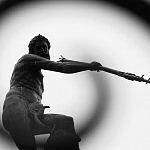 The basic idea behind the water sources is the trident of the god of the seas and oceans, with a sea horse at his foot as well as the corner of the pedestal. 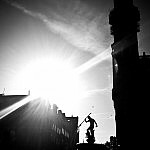 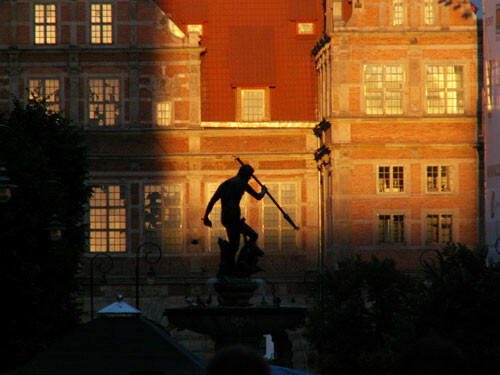 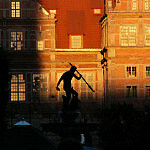 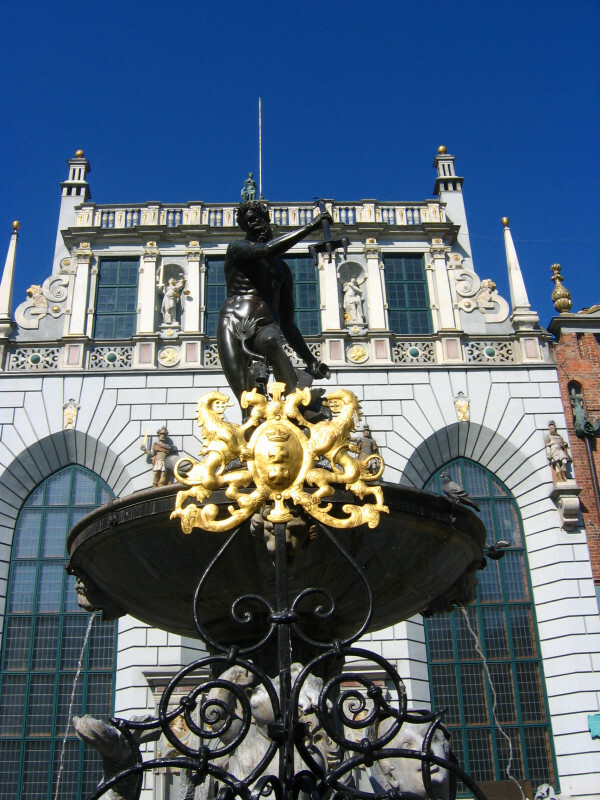 The statue dates from 1615, according to the project designed by P. Husen and G. Benning II. 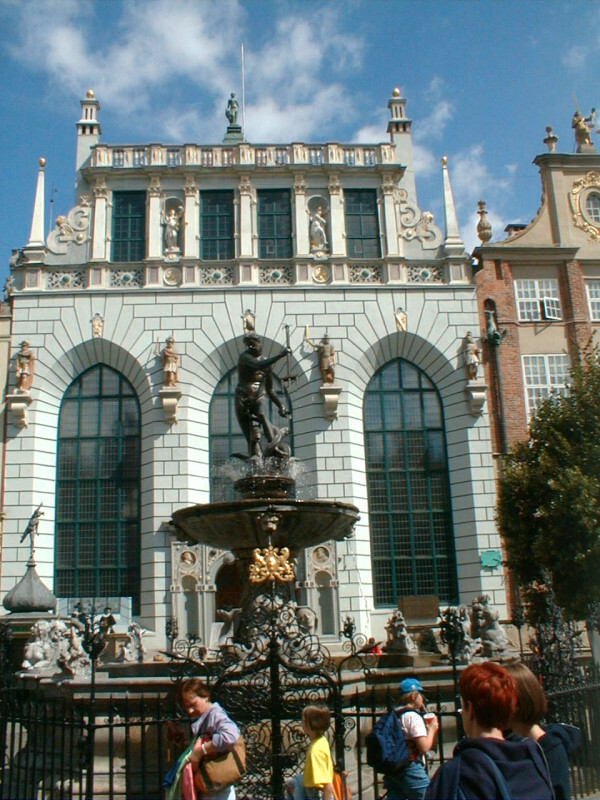 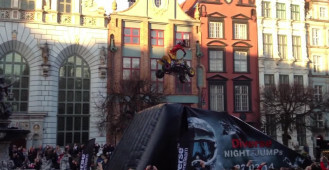 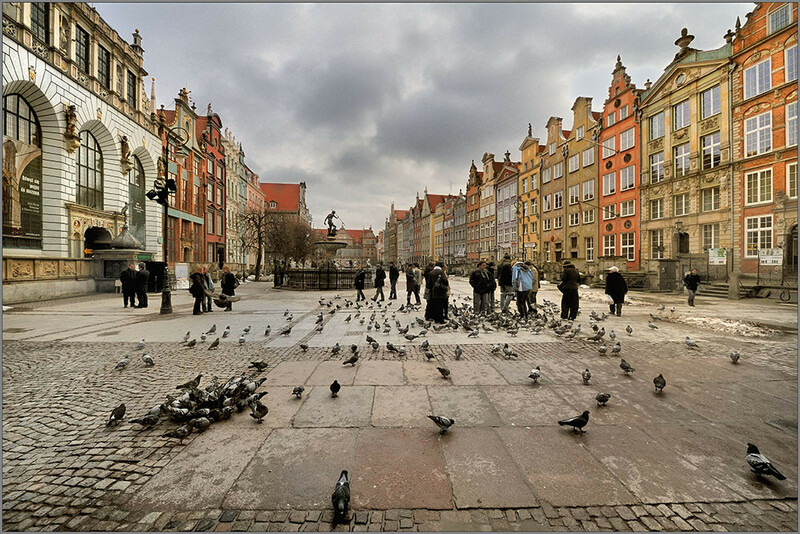 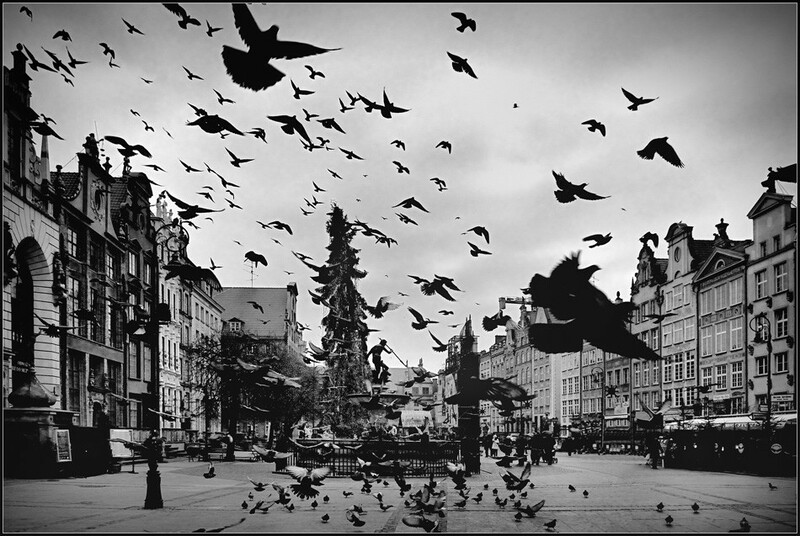 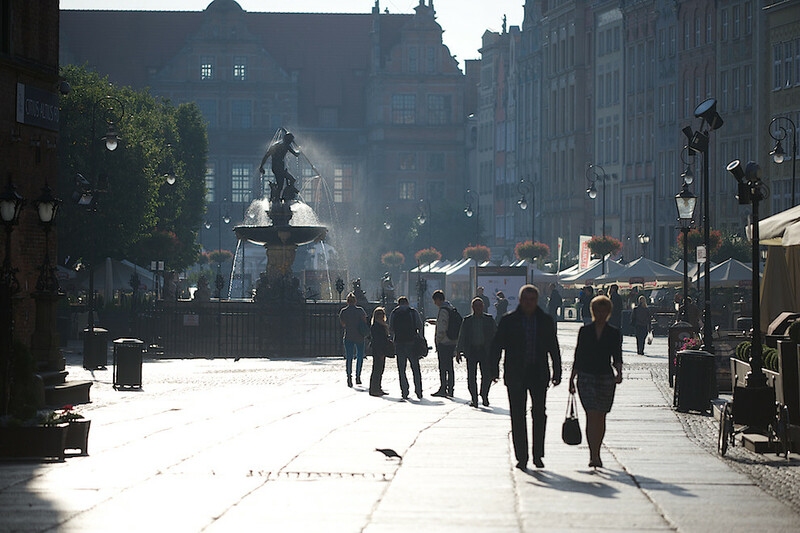 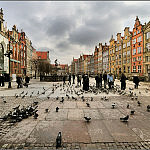 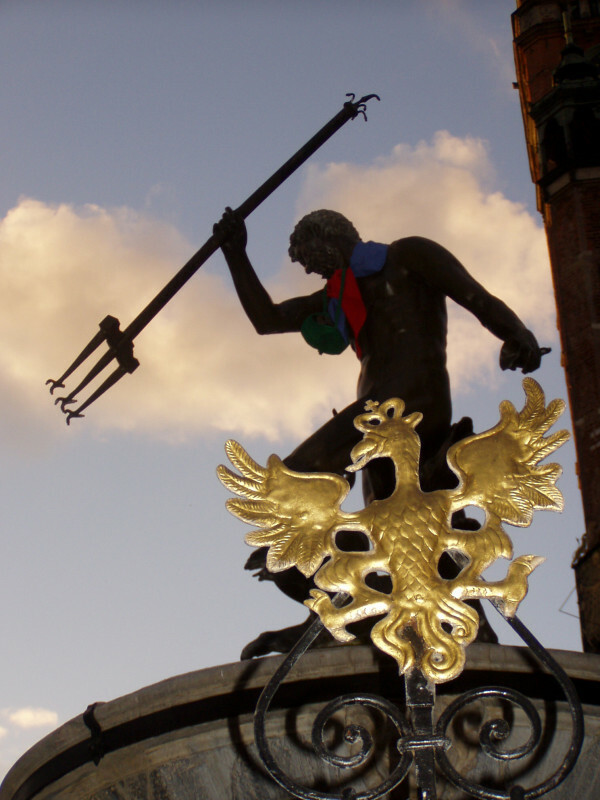 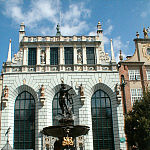 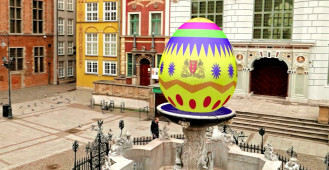 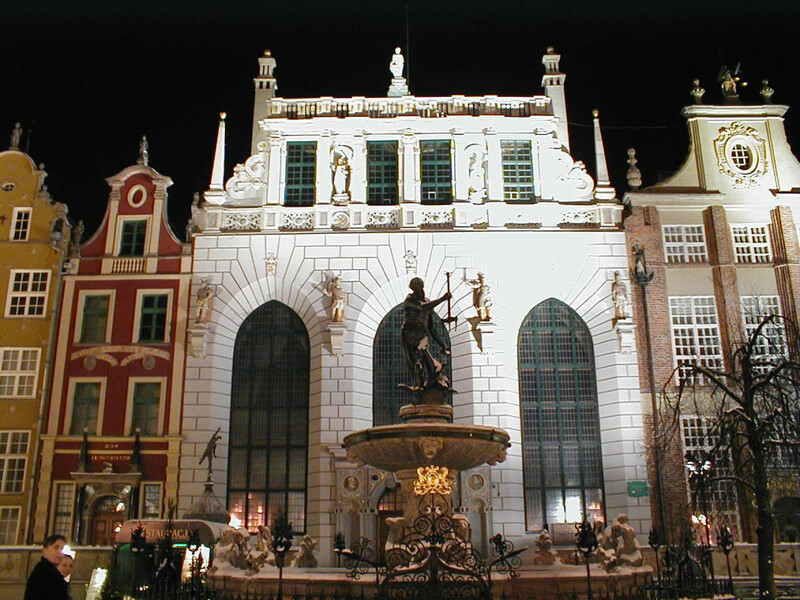 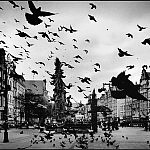 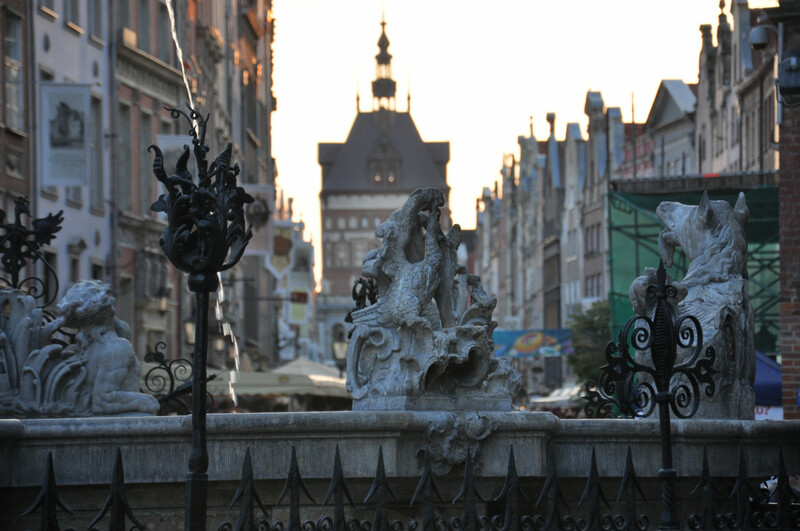 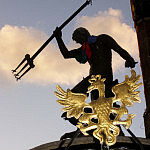 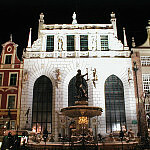 The cage with the golden crests of Gdansk and Polish eagles comes from 1634. 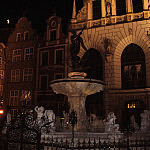 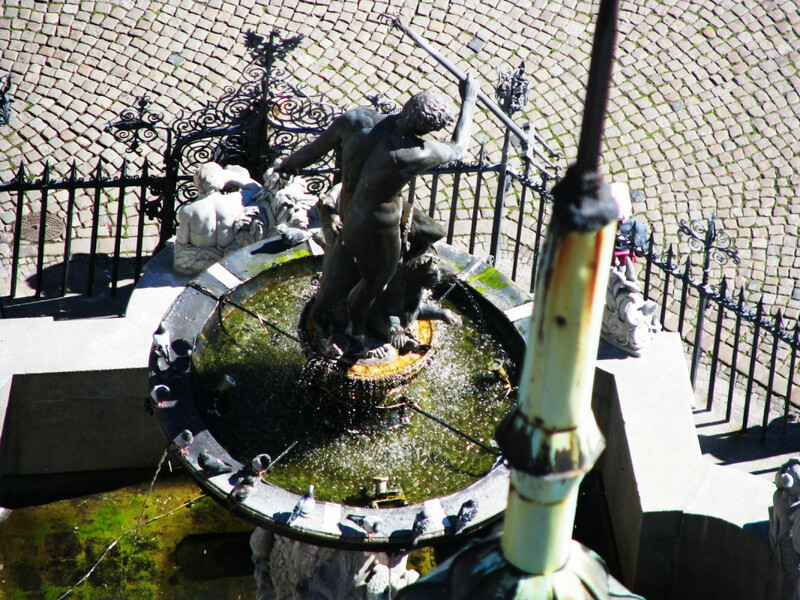 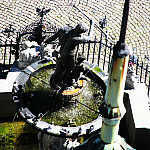 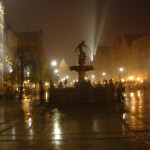 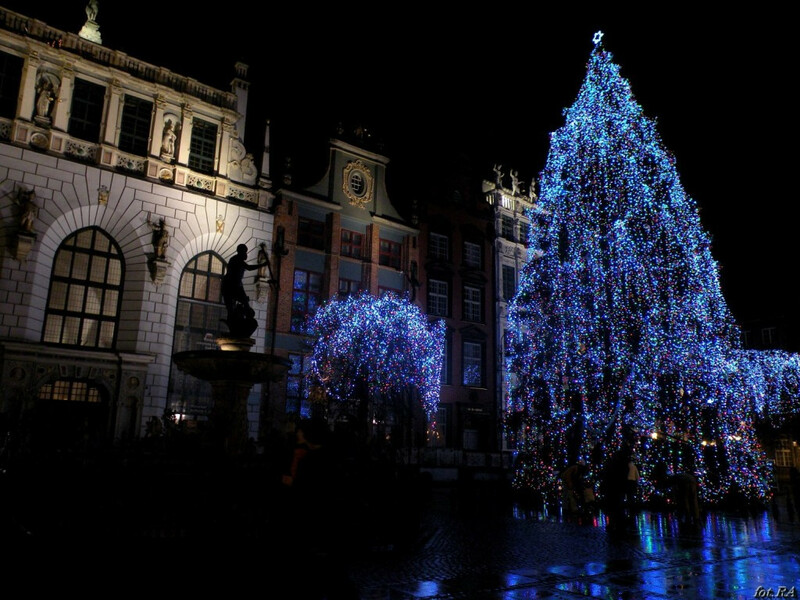 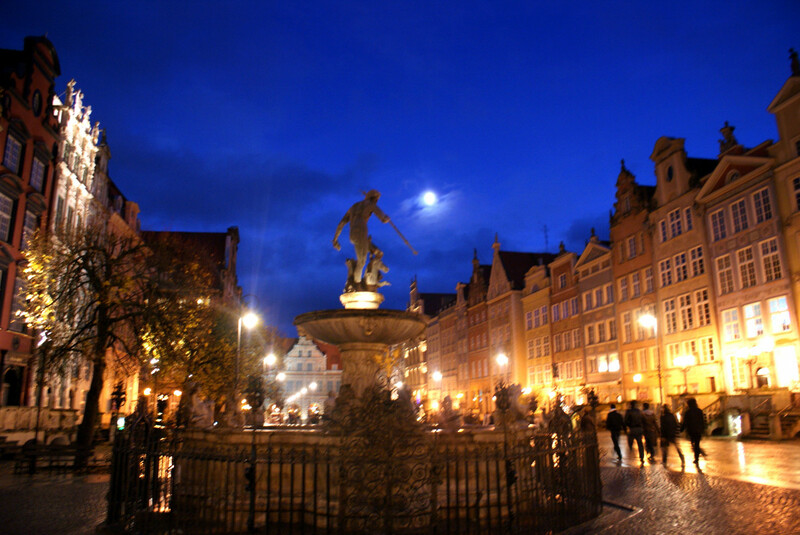 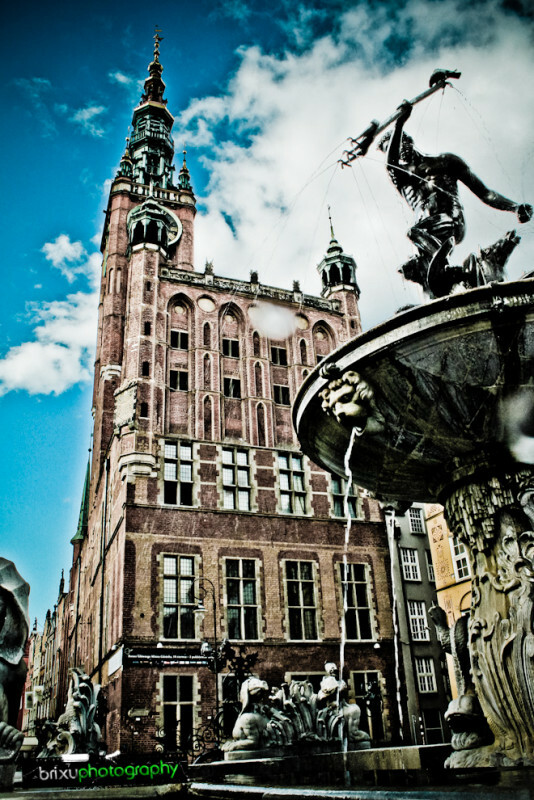 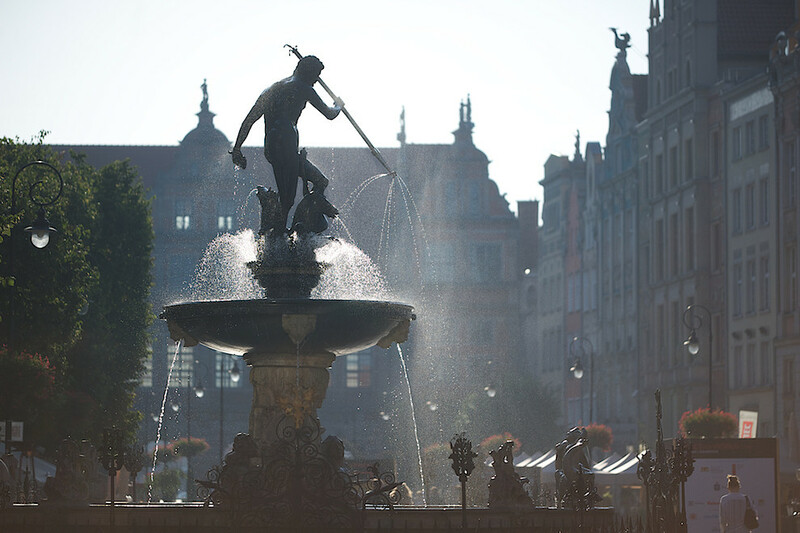 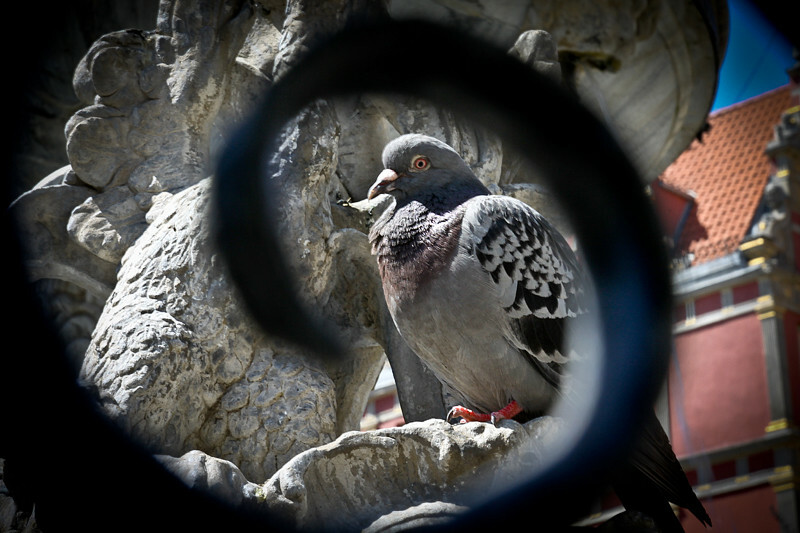 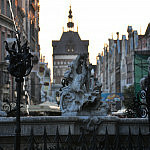 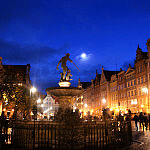 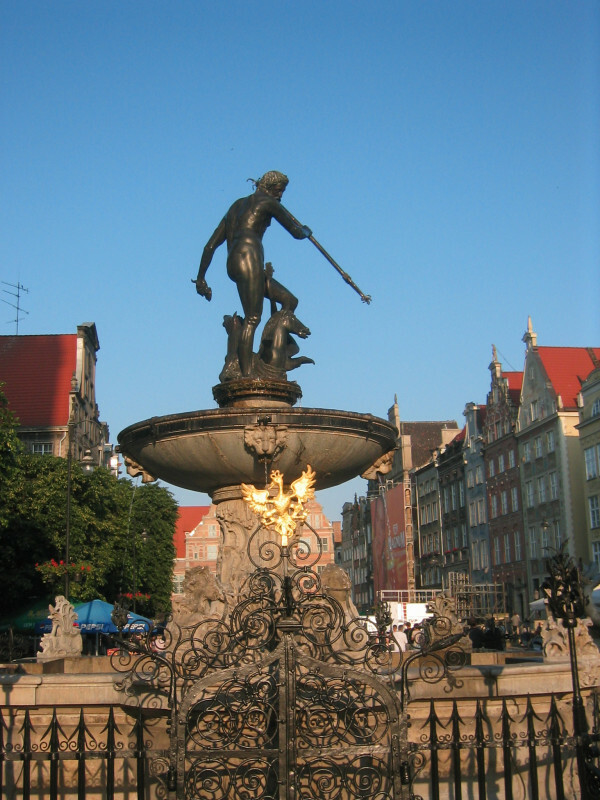 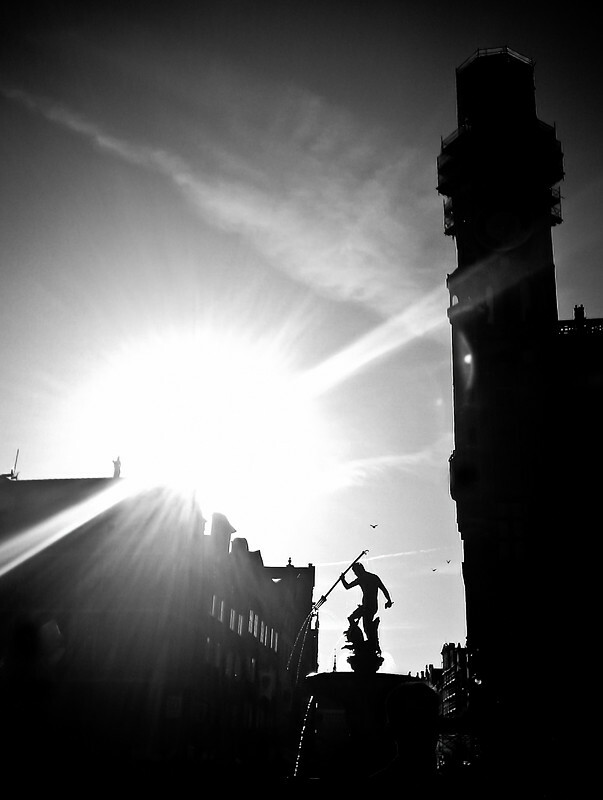 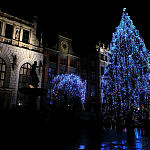 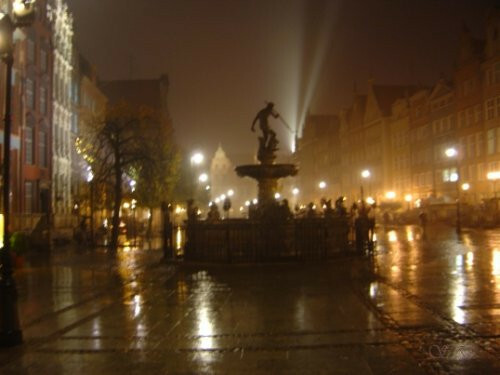 The shaft and the basin of the fountain were constructed in the second half of the 18th century by J.K. Stender. 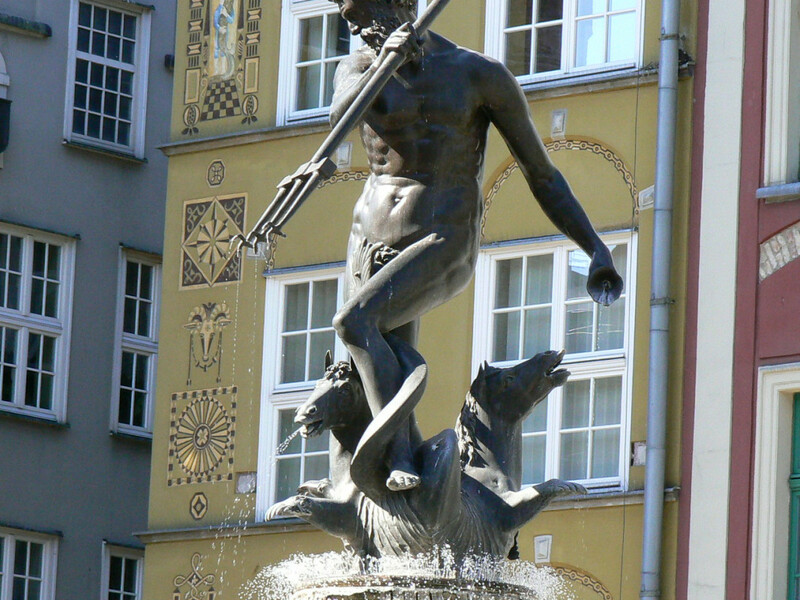 The basic idea behind the water sources is the trident of the god of the seas and oceans, with a sea horse at his foot as well as the corner of the pedestal. 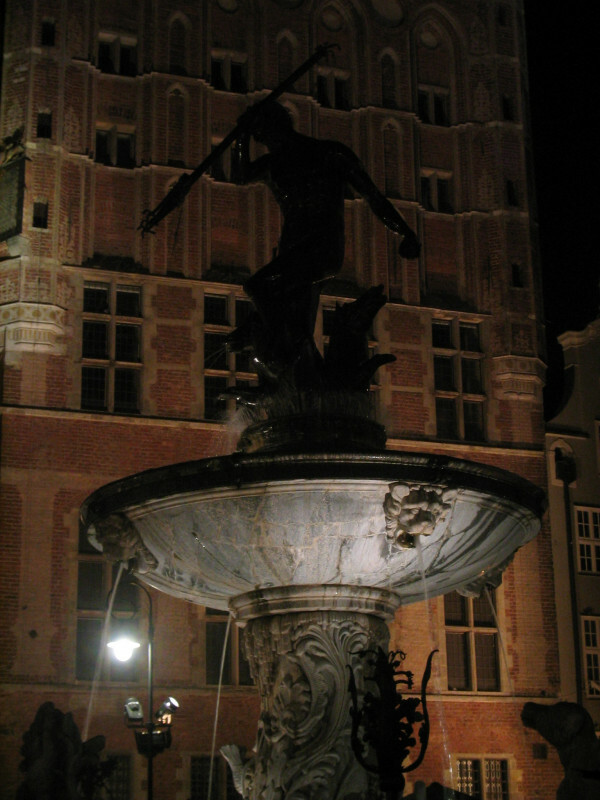 The water cascades into the bowl of the fountain and from there it descends into the lower basin. 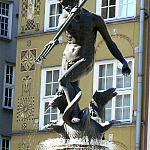 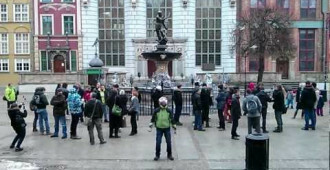 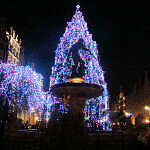 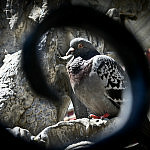 The sculpture of the fountain is best appreciated from the side.